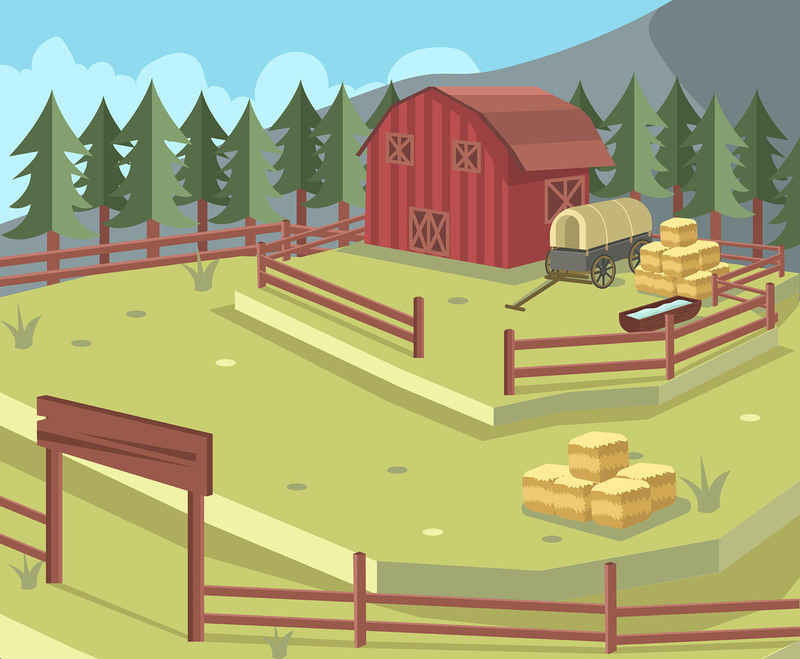 This illustration depicts a ranch with a hay wagon as well as the iconic and typical barn found commonly in ranches, i.e. timber framed with siding of vertical boards. I hope you can benefit from this work.